A checking account is a basic bank account that allows you or your student to deposit and withdraw money in a variety of ways, at your convenience. UBT offers a free Visa® debit card to give your student access to the money in their checking account. Their debit card can be used to make purchases at local merchants and online. It can also be used to withdraw cash from ATMs. 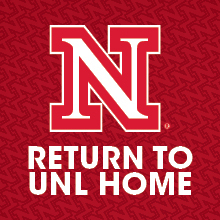 All UNL Campus ATMs are UBT ATMs, so your student will not be charged a fee to use them. To use an ATM they'll need to select a PIN for their card. The PIN is a 4 digit number that they choose, which must be entered each time the card is inserted at an ATM. Debit cards can also be used when traveling throughout the US and internationally. Your student should chat with a banker before using their card while traveling to get all the necessary information. A debit card allows access to the money in their checking account. A credit card gives access to an approved line of credit and you or your student repay the balance later.